The loss of Alibar in 2008 was devastating not only to me and my family, but also to my friend Christie. She had leased Alibar for over 13 years. Christie was always trusted with my beloved Alibar, as she had a light seat, a quick mind, and soft hands. 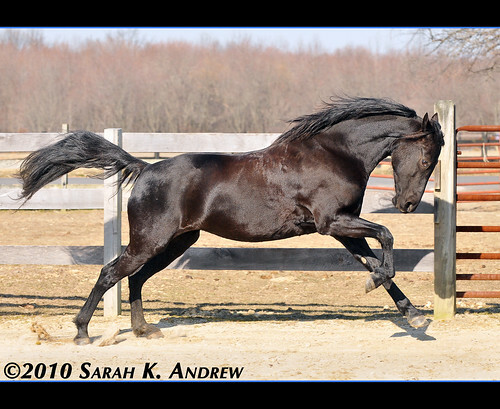 They got along very well, and saw success in the show ring and on the farm for many years. The day that Alibar passed, Christie and I both spent time at the farm, floating through the barn aisles like lost souls. Leaving the barn felt like we were closing the book on the final chapter, so we lingered. 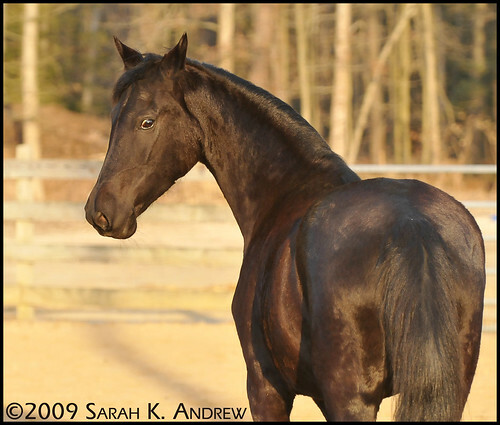 The owner of the farm saw our pain and generously told us that we could work with any of his horses. Christie led a palomino appendix Quarter Horse named JR from his paddock into the barn for some grooming. Serendipitously, I selected Wizard as my grooming victim. 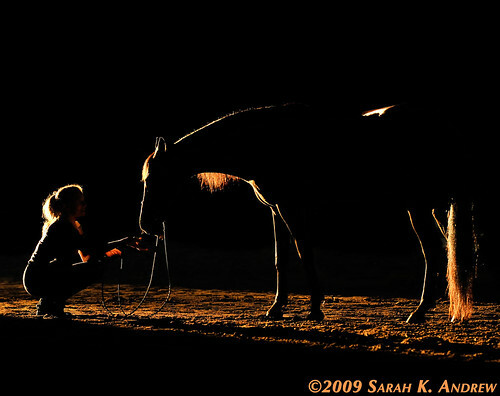 While the process was therapeutic for spending time in the barn with horses, it just was not the same as working with our beloved Alibar. 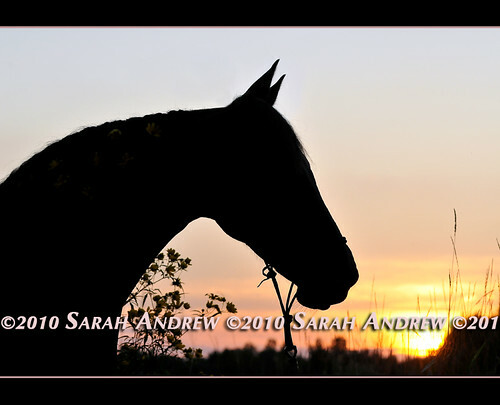 For the next few months, I continued my work with Wizard while Christie began the search for her first horse. 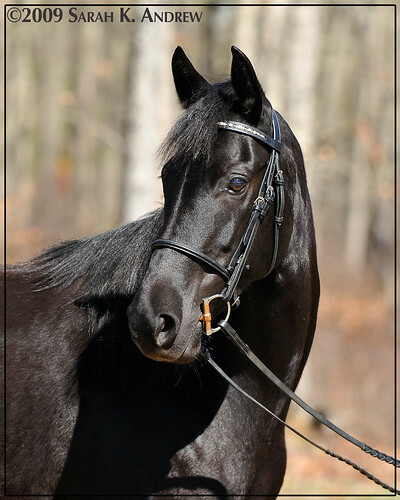 She was an experienced rider, and was ready to take a chance and purchase a horse. 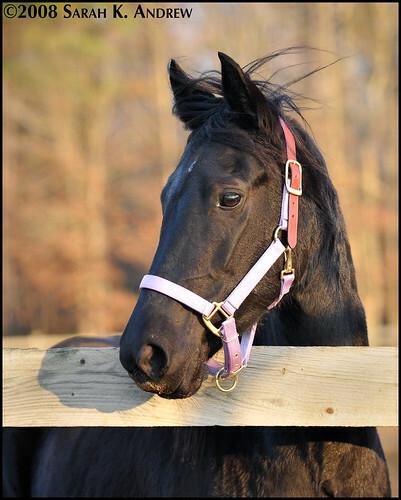 In November, she found what she was looking for– a jet-black Morgan mare named Homeward Maryland, nicknamed Mary. Mary hailed from Maryland and was a favorite of her breeder. 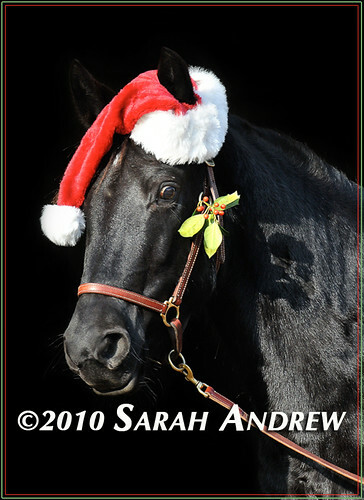 When Mary arrived at the barn, she was wide-eyed, trying keenly to process the new and bustling environment. 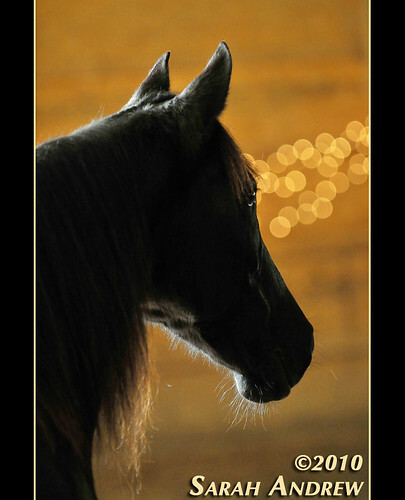 Her flexible neck bent coyly as she looked here and there at all the people and horses. Mary was almost a hand shorter than Wizard, but she lived up to the “Energizer Bunny” reputation of the Morgan breed. 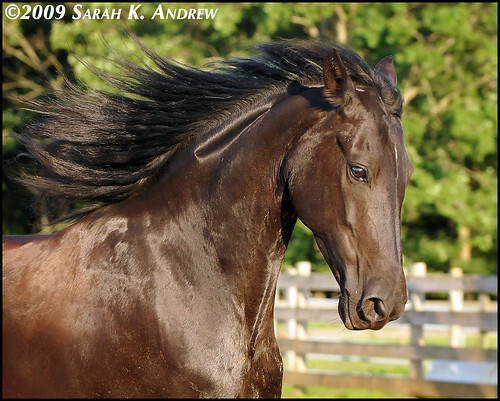 Her strong and correct legs had endearing feathery tufts of hair at the fetlocks in the wintertime, and her unshod hooves were strong and beautifully-balanced, another common trait of her breed. The mysterious gap in her teeth only added to her unique appearance. 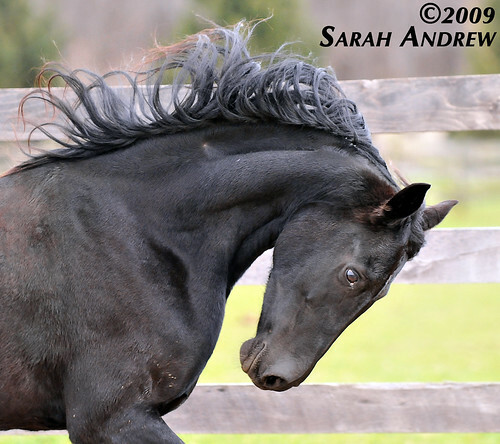 Mane and tail were full, and her coat glowed with good health, no matter the season- her color and flowing locks made her the perfect dress-up horse. Her eyes were bright and merry, and always reminded me of an exquisitely-made stuffed animal. Mary and Christie spent time getting to know one another, and they became a mighty team. 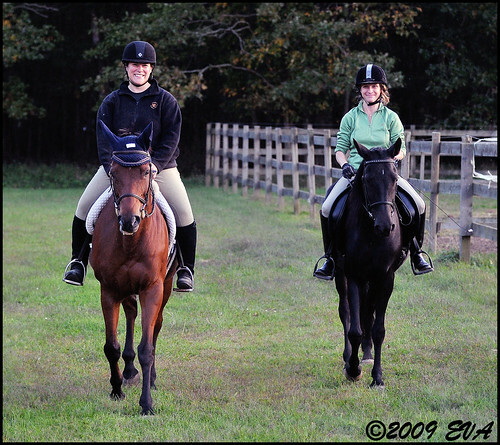 They worked diligently in riding lessons, and had fun on the trails. 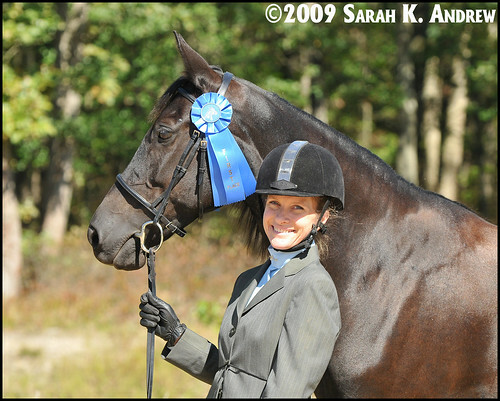 All summer, Wizard and I took rides with Christie and Mary through the woods behind the barn, and had many adventures. Both horses enjoyed being out on the trails, and it was a real milestone to ship Wizard to Assunpink Wildlife Management Area and ride together on the trails the following summer. At a local schooling show, Christie and Mary cleaned up in their classes- their progress and hard work were so rewarding to see. 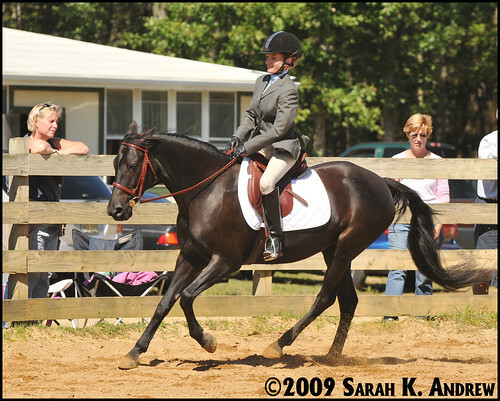 Christie had grand plans for the two of them, and the schooling show was just a tiny step on the way. Christie generously allowed me to photograph Mary whenever I wanted. 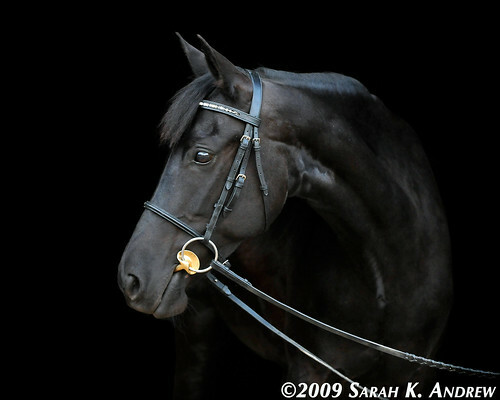 For a photographer, a black horse is a joy and a challenge. I learned so much about light and exposure from my time with Mary. So many photo sessions would change from one plan to the next; my muse Mary was always game for new projects, whether they were humorous, educational, or artistic. 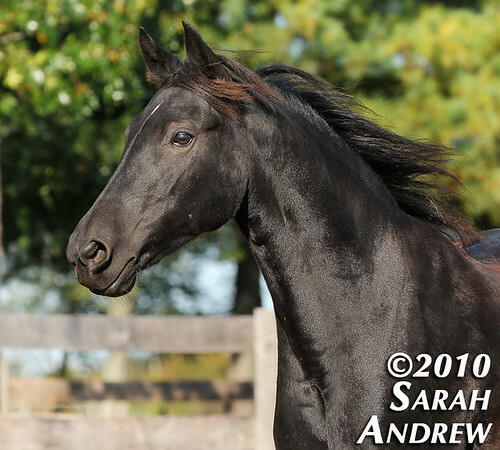 Our photo sessions at liberty give a glimpse into Mary’s feisty personality and attitude. 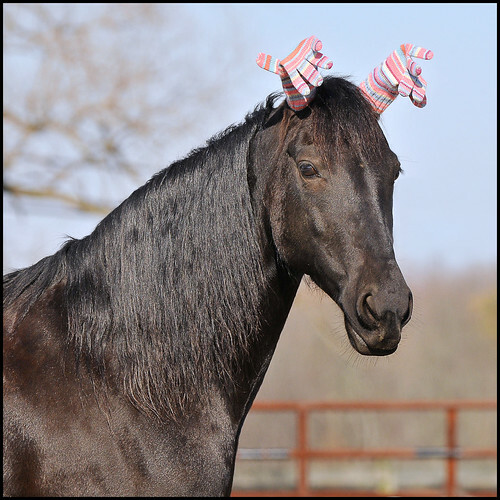 Her head carriage was proud and she was nimble and light on her feet. Mary’s mysterious cough began in the late summer of 2010. It sounded benign, but it became more persistent. The cough turned into an issue in her throat- Mary exhibited signs of an entrapped epiglottis. 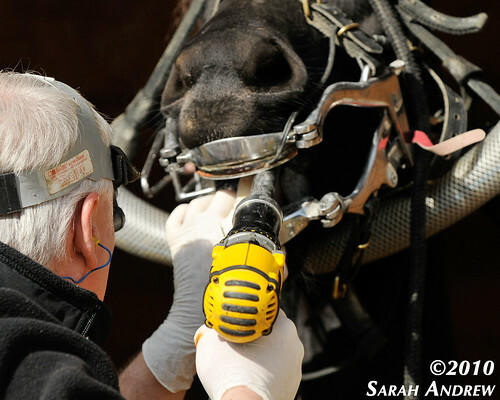 Veterinarians examined Mary several times, and she was taken to a local clinic for further investigation. 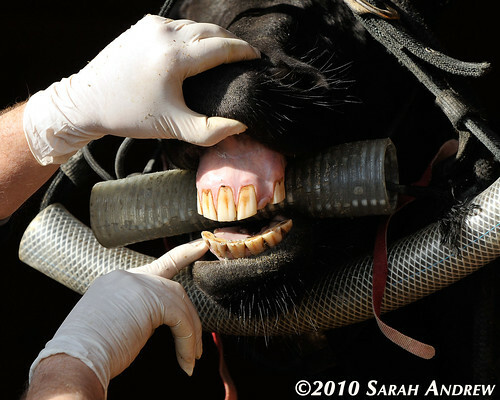 It was discovered that she had a large abscess at the base of her tongue. The veterinarians were confused by her condition, and once the abscess burst, she seemed to be headed in the right direction. Great care was taken to monitor the infection and ensure that she was eating properly. For part of the winter, Mary appeared to be recovering. Then the coughing returned. She was yet again examined by an endoscope, and our local vet recommended that she should be sent back to the clinic to be examined again. The mass under her tongue was not gone, and it was again causing issues with her soft palate and epiglottis. 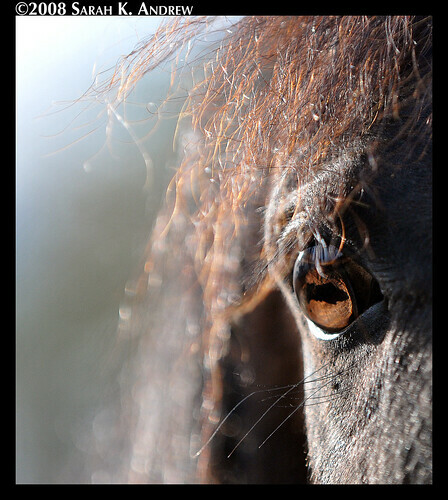 Not knowing what is wrong with a horse is a horrible feeling. At the clinic, the vet was able to get a better look at the mass. Mary was x-rayed and the clinic took a biopsy. The mass appeared to be calcified, and the prognosis for surgery was grim. The biopsy would reveal exactly what the mass was. And so Christie anxiously awaited the results. The results of the biopsy were just as unique as Mary herself. 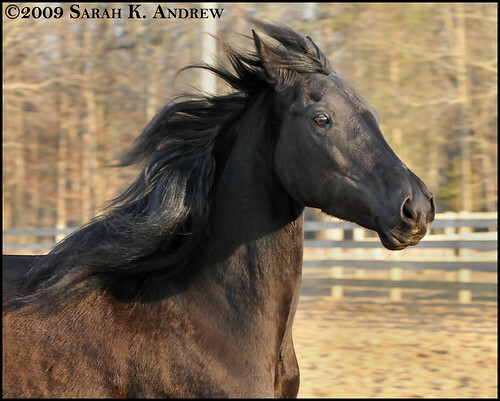 Mary the Morgan was diagnosed with hemangiosarcoma, an extremely rare and terribly aggressive form of cancer in horses. Even more rare was the location of the primary tumor under her tongue. 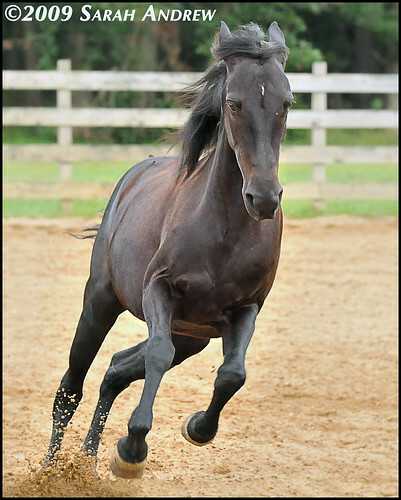 The diagnosis of a lethal and inoperable disease is always devastating for horse owner, and it brought back all the misery of losing Alibar. He had lymphosarcoma, also rare, but not as rare as hemangiosarcoma. Heartbreaking as it was to lose Alibar, he was 29 years old, and I had 20 more years of memories than Christie did with her beloved Mary. It was the beginning of autumn when I said goodbye to Alibar, and he was entering the winter of his life. Sweet Mary was only in the springtime of her life, and the spring grass in the pasture was a painful reminder of her youth. 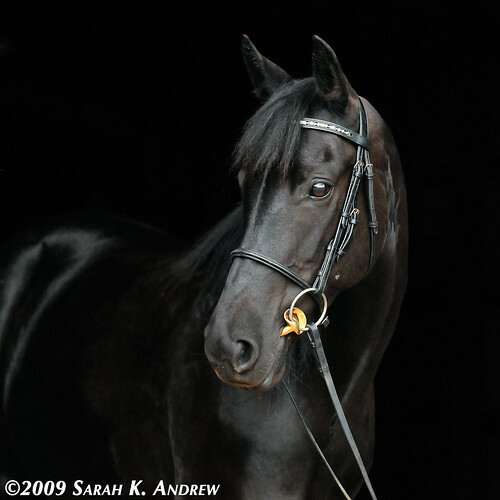 The mare brimmed with potential, but so many of Christie’s dreams for her would be unfulfilled. Mary received nothing but the best care and training, and in the end this awful disease would claim her as a result of an unfortunate roll of the dice of fate. The veterinarian said that Mary might have a few more weeks of comfort, but the disease moved faster than these optimistic words and Christie had only a few more days with her beloved mare. While her coat was still shiny and she was bright and alert, Mary began to lose weight. The left side of her lip sagged, possibly from nerve damage from the tumor. She had an appetite for hay, treats, and grass, but not so much for grain. 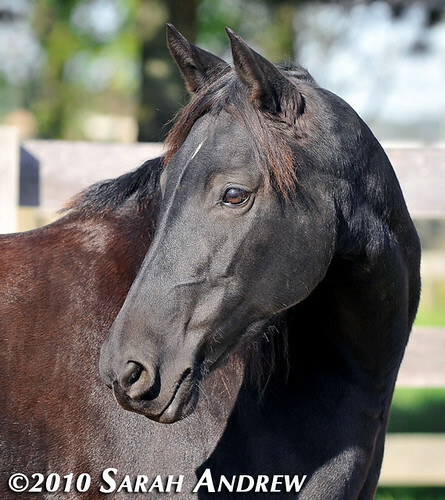 A horse owner always tries to make the best decision for a horse’s quality of life. 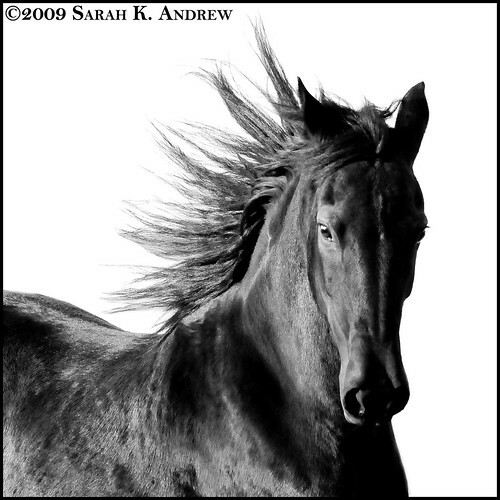 The decision of when to euthanize a horse is deeply personal and there is no right answer; the owner must ethically decide what is best to honor the horse’s dignity with this final act- this is exactly what Christie did for Mary, and I think her timing and instincts were perfectly in-tune with the comfort of her mare. My muse was fading, and I was faced with a final, heart-wrenching photo session. 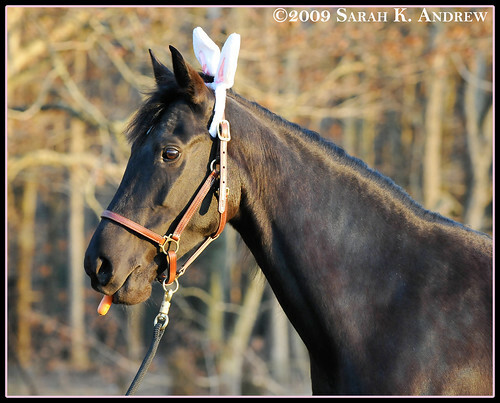 The sky was crystal-clear and Mary’s coat looked like ebony through my lens. It was all too familiar- I had done the same photo session with Alibar a few days before he passed. Mary was allowed to move about and act as she pleased, so I did not expect many photos. In typical Mary fashion, she regally posed again and again. 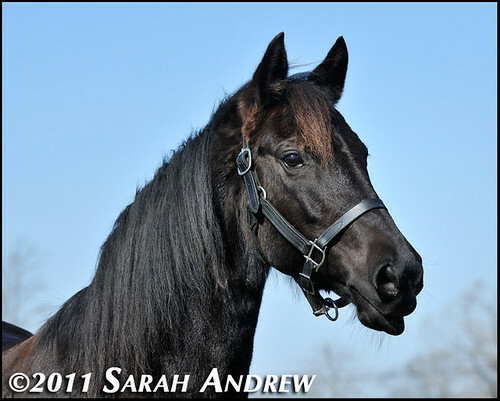 Her custom black and chrome halter from Quillin’s looked perfect against her coat. 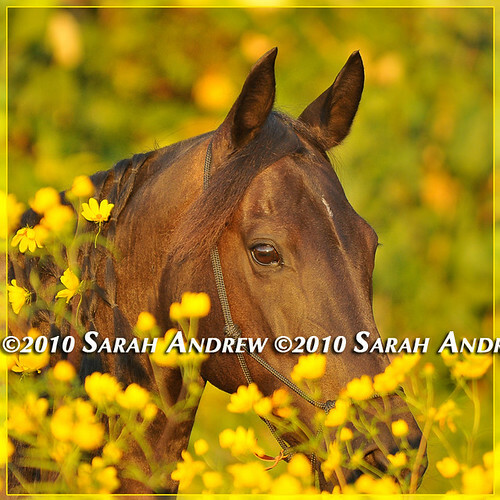 Some folks prefer not to have these final images of their horses, but I cherish the ones I have of Alibar. They remind me that he was “himself” to the very end. 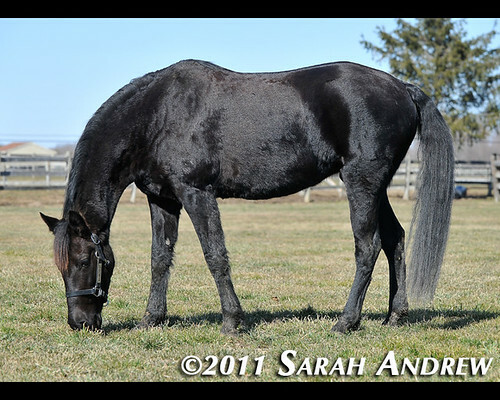 At the end of our photo session, Christie turned Mary loose in her pasture. 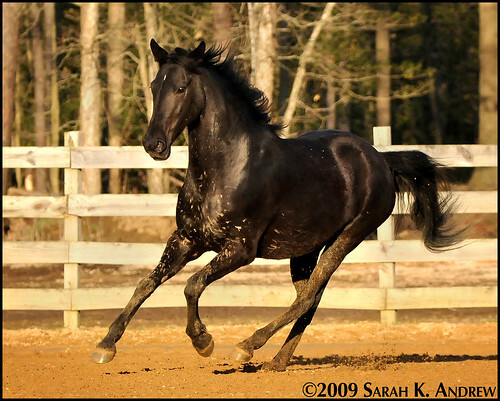 As if to show us that she was “herself” as well, she thundered across the length of the field at a full gallop. I was at the far end of the field so I did not catch the image with my camera, but I’ll remember it always in my mind. The weather was mild on Mary’s final day, and a group of devoted friends gathered at the barn to bid her farewell. Mary was in the front paddock with her friend Luna, and they were both savoring the first nibbles of spring grass and enjoying the scenery. Between bites of grass, Luna frolicked and Mary visited her tearful friends who leaned on the fence admiring her. 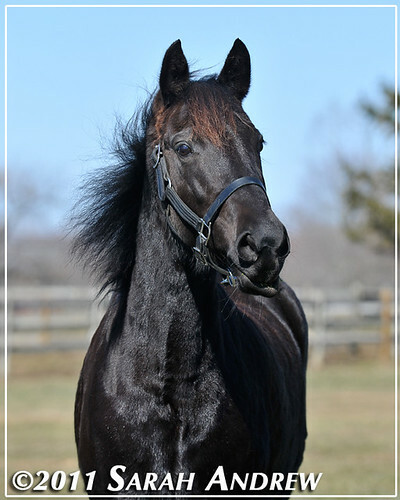 Saying goodbye to an equine friend never gets easier. There were a few lighthearted moments throughout the morning, and we all did our best to support our friend, but I felt that familiar weakness in the knees when the vet’s truck pulled into the driveway. The veterinarian administered the first sedative in the euthanasia process, and Mary stood quietly beside her devoted owner. 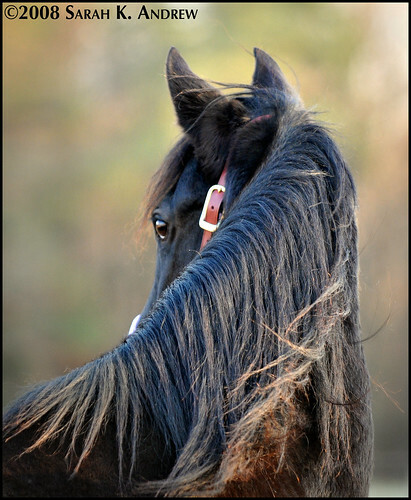 I approached Mary one last time, buried my face in her long, sweet-smelling mane, sobbed a goodbye, and then returned to the group of friends along the fenceline. The final dose of barbituate was given, and the veterinarian deftly eased the mare to the ground; Mary passed peacefully with a soft grunt. I was reminded of Barbara Livingston’s touching Daily Racing Form blog post about the funeral of the immortal Man O’War. One by one, the equine funeral guests walked up to the mighty Mary and gave her a final pat. She was noble in death, as she was in life. The ghostly trance at the barn was momentarily broken by me when I had to go to work, but Christie stayed for several hours. 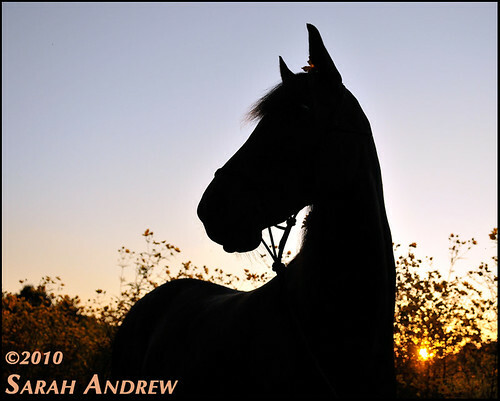 Leaving the barn means that another chapter is ending, and she was still savoring the short, but sweet chapter she had shared with her bright, beautiful, black Morgan mare. 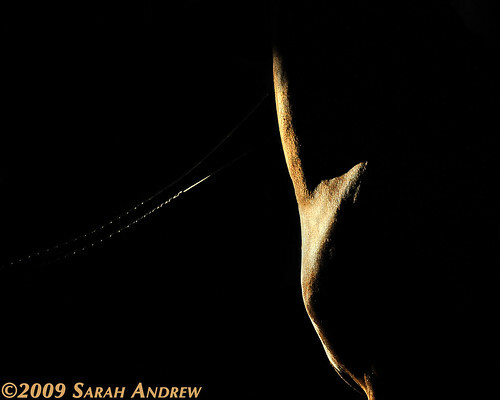 Sarah – beautifully written. Christie is lucky to have all those beautiful photos of Mary. I’m certain they mean a lot now but those photos will be more precious as time goes on. Christie and everyone that Mary touched are in my thoughts. Dang it! You have me crying at work. Beautiful pictures and tribute to Mary. Just so sad her life was so short. I hope you and Christie find some peace soon. Try not to be sad that it is over, but happy that the time spent together happened. My heart breaks for Mary’s owner and everyone who knew her. 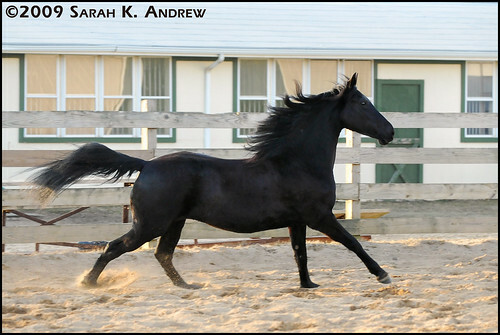 What a fantastic mare. I always loved reading about your adventures with Wizard and “Mary the Morgan” in your blogs. Gorgeous photos. Rest in Peace Mary. What a beautiful tribute. I am in tears. My thoughts are with you and Christie. It is never easy to lose a loved companion. What a beautiful tribute! I’ve always loved the photos you’ve taken of Mary. My heart goes out to Christie and everyone else who’s lives were touched by Mary. Oh no. Not Mary. No. Another eloquent, lovely essay on a life well loved. The vibrant, soft eye, the glossy coat….a life well loved. This is such a beautiful tribute to Mary. 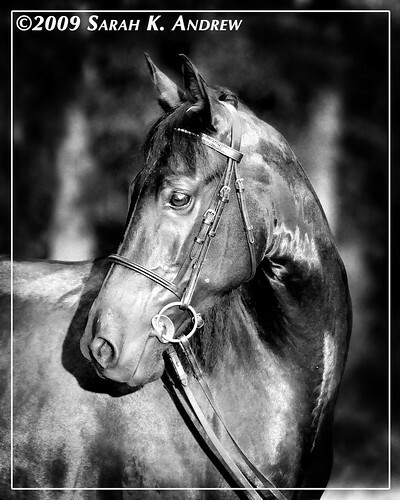 I am so sorry for Christie’s loss of her wonderful mare, and I will miss seeing Mary in through your eyes. My heart goes out to you both. My condolences to Christie, yourself, and all of the people and critters who loved Mary the Morgan. 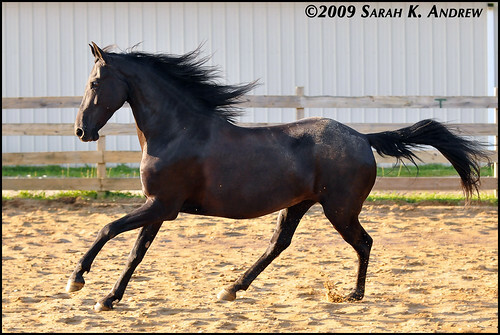 She was such a beautiful mare. I loved your photos of her. Life just doesn’t seem fair sometimes. We were all lucky to have Mary the Morgan as part of our lives… even if just in photo format. Your words are as eloquent as your photos. Thanks for sharing Mary’s life with us. Oh, I’m so sorry for Christie and all of Mary’s friends. She was SO beautiful – I always looked forward to her pictures. You made me cry at work . 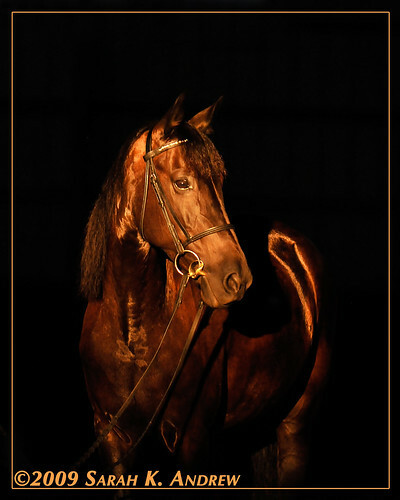 . . but what a beautiful tribute to a beautiful horse. My thoughts and prayers are with Christie and I can’t help but smile as I think of my Zipp, your Alibar and Christie’s Mary thundering through heavenly pastures, playing and kicking up their heels as they wait patiently for us to join them. Sarah, I am SO sorry to hear about Christie’s Mary. 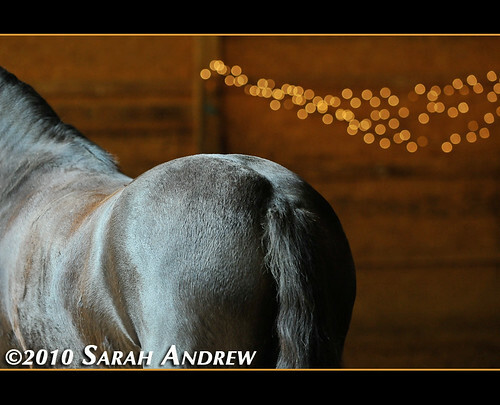 I remember very well when she came to the barn and how beautiful she was. Christie must be very sad. What a loss. 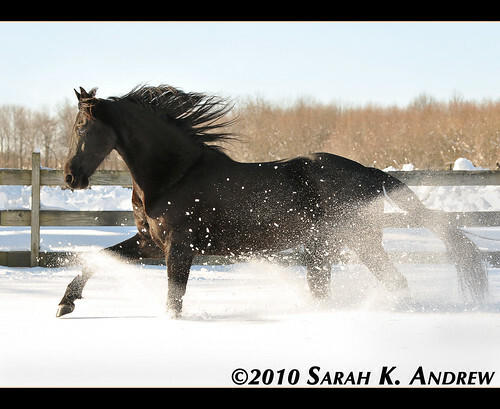 My heart goes out to you and Christie, and to Mary’s breeder for losing such a special mare. I always looked forward to a Mary post or picture, and I loved her name. Gorgeous, brave and heartbreaking. I am so sorry for you and for Christie. 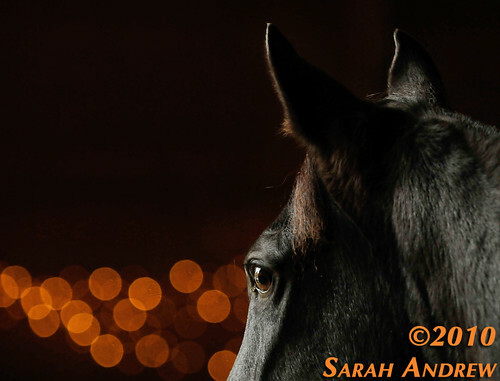 Sarah, you have become as skilled a writer as you are a photographer … and that’s saying a lot.